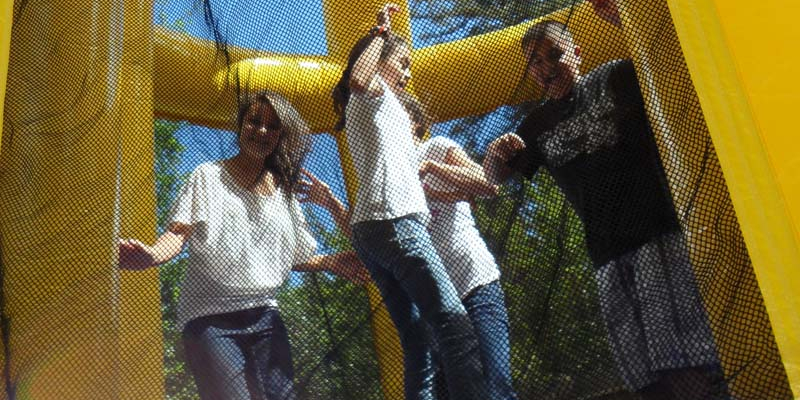 The best in Jump house in Sacramento & Bounce House Sacramento fun. 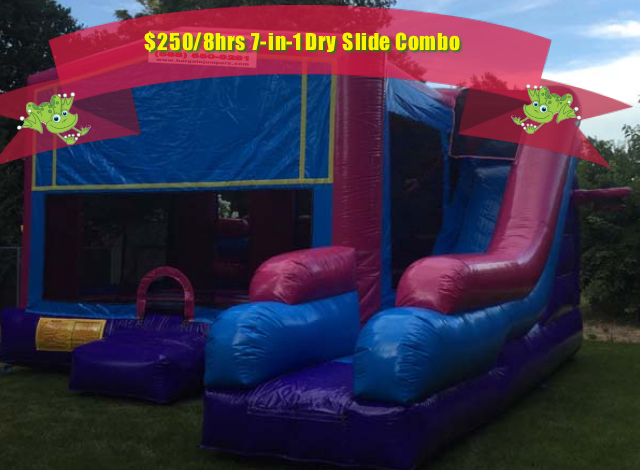 From $100 for large 15’x16′ Bounce house Rental. Get Two Long Tables and 16 Chairs for $30! (w/Jumper rental). If your party needs additional power, we also have reliable Generators available. These units include a protective Safety Fence of twenty feet. Other safety features include metal securing stakes, sandbags, and tarps. All Jumpers have a safety-step entrance and rules are always provided. For your protection we use chemicals designed to kill bacteria, fungus, and viruses on contact. Detailed information regarding this cleaning system is available. 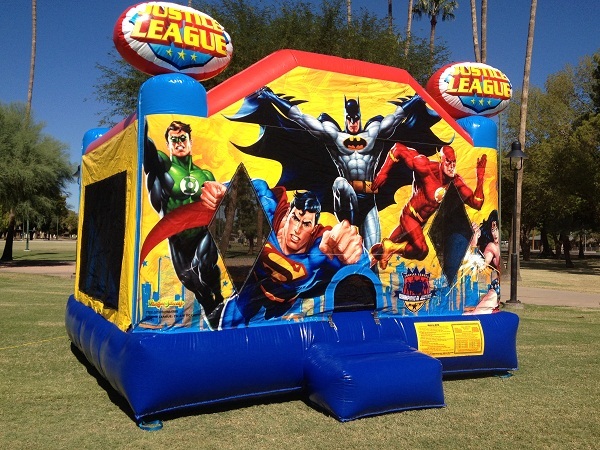 Here at Bargain Jumpers, our staff is dedicated to meeting and exceeding all of your party events needs. We create a fun safe environment for children and families to enjoy. We also offer generators for parks, and sandbags for driveway locations. Bargain Jumpers also understands how important it is to receive quality service. Whether we are at your home or out in public with friends and family, our new clean bounce house jumper equipment will insure that your next party goes smooth and trouble free. Finally, We also believe that our professional experienced approach sets us apart from many other companies. We look forward to demonstrating this at a party near you! 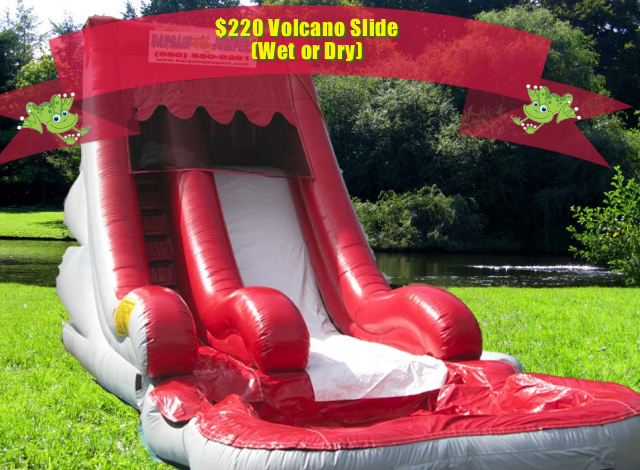 For the adventurous we also offer the 7-in-1 Dry Slide Combo and the Volcano Waterslide! All units include covered ceilings providing additional protection from sun, wind, and weather. Other safety features on Bargain Jumpers includes the safety step and covered entrance to help children from accidentally falling out. 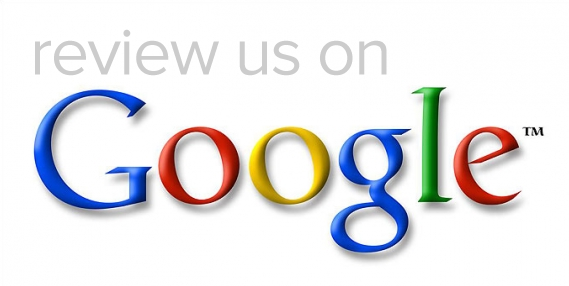 Popular searches to find us on-line are Jump House Sacramento, Bounce House Sacramento and Bounce House Rentals Sacramento. FREE DELIVERY within our Service Area. Call for more info.